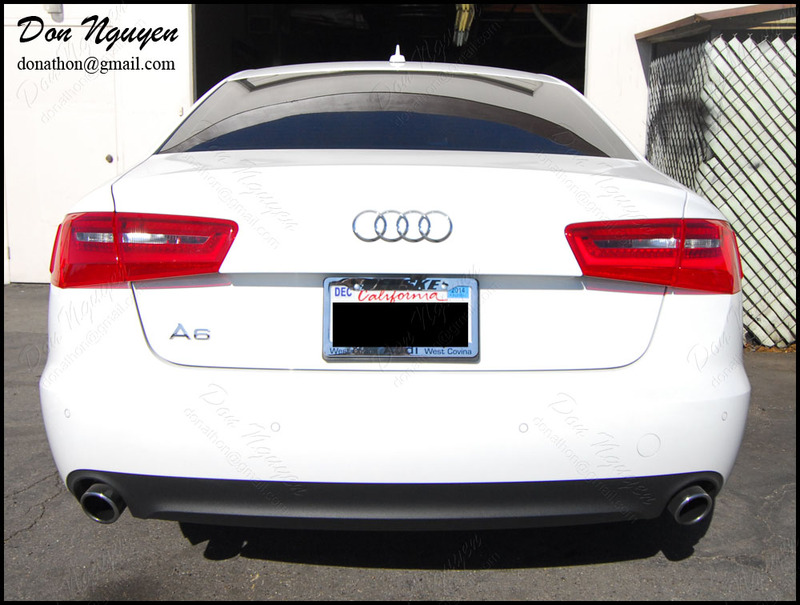 For this white Audi A6 sedan, I vinyl wrapped the roof in my gloss black vinyl material and also lightly smoked/tinted the tail lights of his car. I liked the way this turned out, because the changes with the gloss black roof and lightly tinted tails really gave the car a different look without making it look too modified. If you didn't know or didn't look very closely, most would probably have thought it came from the factory like this. 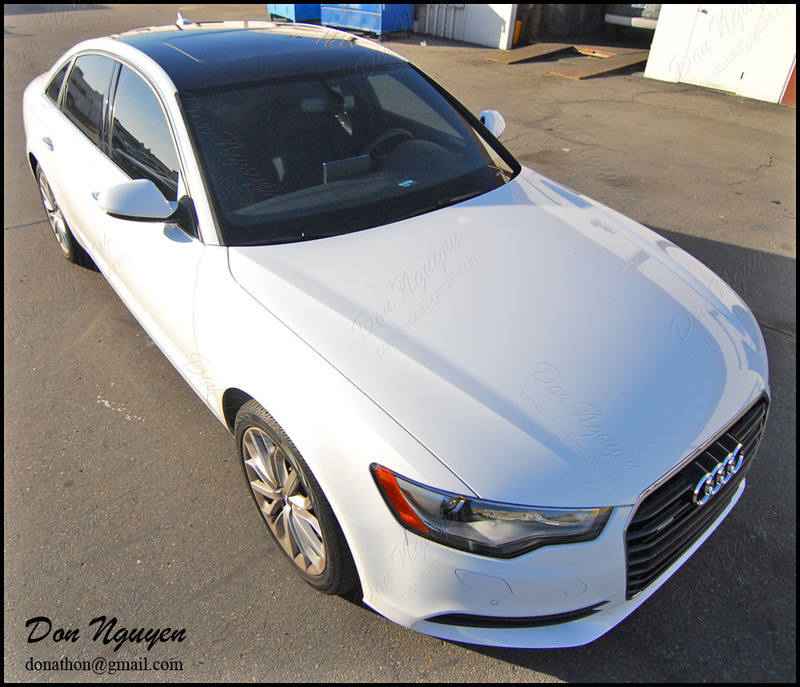 The owner of this car brought his car out to me in Anaheim hills/Orange county to have the vinyl work done.